Drinking and driving is illegal so that fewer people die every year, which is a social good. 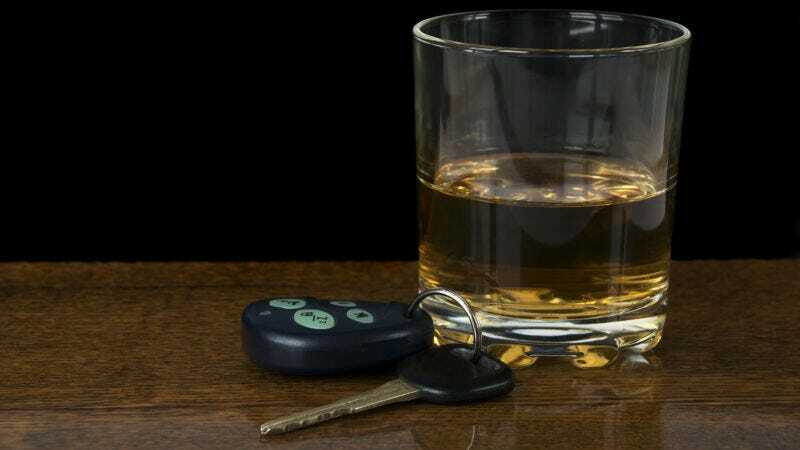 Are DWI laws discriminatory towards alcoholics, who have a higher tolerance for high levels of alcohol consumption? The answer’s no, but that didn’t stop one Texas man from making the argument in court recently. The Austin American-Statesman identifies the man as Ralph Alfred Friesenhahn, who the paper says argued practiced drunks should be a “protected class of alcoholics”—protected, presumably, from the state’s DWI laws, which specify, like every other state in the country, that you can’t be behind the wheel with more than 0.08 blood-alcohol concentration. Friesenhahn was arrested after a single-car rollover accident along a rural Comal County road south of New Braunfels. Blood tests later indicated that he had an alcohol concentration of 0.29 — more than 3½ times the legal limit. Trial records show that Friesenhahn also was convicted for driving while intoxicated in Victoria County in 1985 and Bexar County in 1990 and 1998, McCrary said. Keep the plug in the jug, if you can. Definitely don’t drive if you can’t.